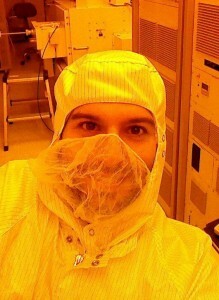 Orad in his cleanroom gear. Do you know what the difference is between a material’s strength and its toughness? If you’re like most of us, you don’t. But that difference plays a big part in why springs don’t snap under pressure and why only certain materials can be used for the frames in buildings and bridges.